You might notice that the waters look a bit different. On one hand we have the water around the tree, which is a bit see-through. Then there's the water along the wall, which is not, and has a slightly different color. The difference is that the see-through water you can walk on, and the solid water you can not. 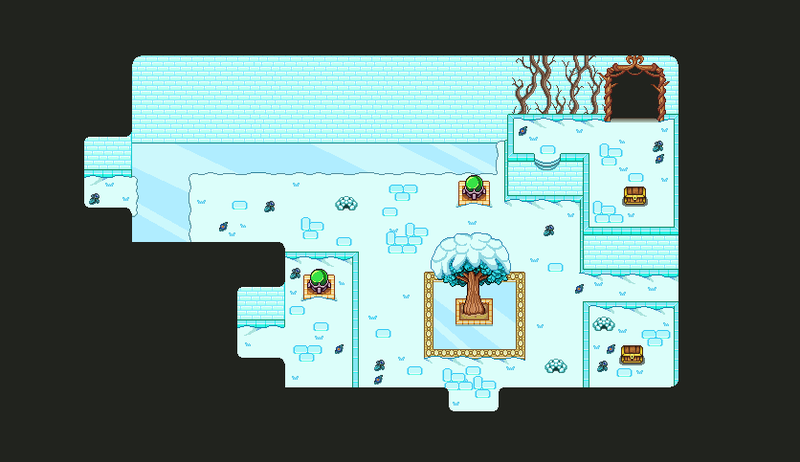 As such, the key to rooms such as this is to freeze any water blocking your path so you can walk over it.